The Croatian Knights will make their first appearance at an International Cup. As reigning Euro Cup champions, the Knights have already proven their prowess as an Australian Rules football force, though an 18 per side format will provide different challenges. Their Head Coach, Josip Kravar, details the Croatian team’s story. 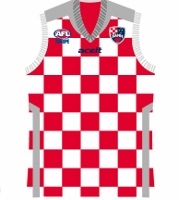 The Story Of Croatian Footy: “The Croatian national team, also known as Croatian Knights, first started to play in 2006 when the team was made only from one club in Croatia - the Zagreb Hawks. Just after forming a second club in SANH (AAFC) the Knights had a bigger pool of players. In the first two years the Knights played in the CEAFL against Austria, Czech Republic and Finland. 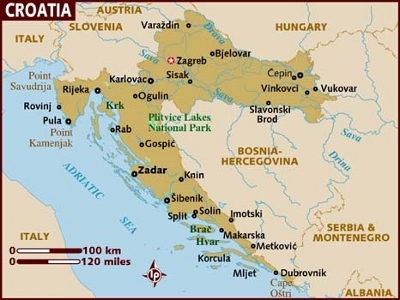 In late 2007 and 2008 footy in Croatia experienced a small boom and young and athletic players joined clubs in Zagreb which had a reflection on the Knights style and quality of play and the Knights, on their first appearance on Euro Cup in Prague 2008, ended up as runner ups. It was a surprise for us and we saw our direction then after losing to England to one day be the best team in Europe. After 2008, the Knights developed 9 per side footy fast, winning two Euro Cup gold medals, three silver medals and three bronze medals until today where we are the current Euro Cup champions. Our best players from seven Croatian teams today are competing to have honour to play for our national team. We also played in the European Championship in 2010 and 2013 and both times ended up 5th. It was different game for us and we didn't have the opportunity to train or play on oval and that was our first contact with "real" footy. But during 2016 we found an oval in Zagreb and played games among ourselves (not official AAFC games, but just friendly games) and we are happy to state that our game of 18 per side improved. If anything I believe we adapted quickly to this style of game and there will be time to prove that. The journey to IC17 was hard one for us. We confirmed our participation at the last moment. The reason is that most of our players are students and if you take average pay roll in Croatia it is hard to buy ticket to Australia, pay accommodation and other necessities. So, AAFC set goal to provide 50% of airplane tickets and 100% for accommodation for our players. To sell footy in this country where it is a sport on the margin is hard but we have our faithful sponsors like Ilirija hotels who sponsor us for 10 years now. We also found new sponsors like Jurcevic Consulting and KPMG from Australia and at the end unselfish help from the Croatian community who provided us with donations, accommodation in their homes and a welcome to their community that indebted us for life. We are very grateful to have support from those communities and our sponsors for which we will, in turn, give our best. Knights are team that never calculated with our expectations. Everything beside winning in every game is a failure for us. We highly respect every opponent we have played against – if we played them 100 times and won 100 times we will approach 101st time like we never meet before. In the 18 per side format we are not an experienced team. We are not favourites with anybody, but we will put everyone to a hard test if they want to earn victory against us. Tomislav Cvetko, our captain in forward line this year, went to play for Norwood FC in Adelaide from Zagreb Cvjetno Dockers. Tommy has been one of the finest European forwards, consistently over the last ten years. He was best European Championship goal kicker, Euro Cup best goal kicker, has been in the best team of tournament for some years in row, MVP in Croatian league so many times and true leader and the image of the Croatian Knights for the last ten years. Josip Habljak, after two years now playing in Australia (currently with the Mercedes Unley Jets). As a dominant ruckman he is beast at 192 cm and 115kg and easily the fastest player on ground. Josip has been playing as a ruckman at a different level and for ever his opponents will be clear why he is called the pain train. We have good combination of "old" experienced players with experience of several Euro Cups and European Championships and just a few young players around who we want to build our future. We are hard-working team that have trained together for more than three months.